Some form of human error causes over 90 percent of the car crashes in Rockford. Sometimes, this error is a wrong-place-at-the-wrong-time lapse, and the collision was truly “accidental.” Examples include sudden wind gusts and lightning strikes. But in almost all cases, car crashes involve some kind of negligence. Legally, negligence is either a lack of ordinary care of a violation of a safety law. Typically, the negligence involves one of three areas. Sometimes, these areas overlap. 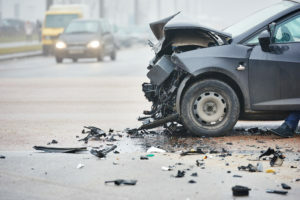 The damages in a car crash case include compensation for economic losses, such as medical bills, and noneconomic losses, such as pain and suffering. Particularly in many behavioral negligence cases, additional punitive damages may be available as well. In many cases, driving negligence has nothing to do with driving itself. Instead, the tortfeasor (negligent driver) made a series of questionable choices before starting the car. These choices were negligent. Furthermore, behaviorally negligent drivers intentionally disregard the safety and property of other people. Examples of behavioral negligence include driving under the influence of alcohol or drugs. Driving while fatigued is also behavioral negligence. Drowsiness affects the brain in much the same way as alcohol. Driving after eighteen hours without sleep is like driving with a .05 BAC. The negligence per se shortcut is unavailable in drowsy driving cases. Illinois does not have a fatigued driving law. But Illinois does have a very strong DUI law. Persons need not have BACs above .05 to be legally intoxicated. Moreover, any impairing substance, including legally-prescribed or over-the-counter drugs, can trigger a DUI. Some form of illegal turn and excessive speed are the two most common types of operational negligence. The failure to obey traffic laws is a classic lack of ordinary care as well as a violation of statute. So, operational negligence victims have several legal options. Left-turn crashes are especially an issue in vehicle-on-motorcycle crashes. Often, a tortfeasor attempts a left turn against traffic and drives directly into the path of an oncoming motorcycle. Illegal lane changes are often a factor in vehicle-on-vehicle collisions. Even if the tortfeasor’s vehicle has a blind spot alert function, these alarms are not perfect. The drivers themselves are even less perfect. Speed increases the risk of a collision and the damages in a collision. At 30mph, most cars travel about six car lengths in the time it takes to safely stop the vehicle. At 60mph, stopping distance triples to eighteen car lengths. Velocity also multiplies the force in a collision between two objects. In other words, a low speed “fender bender” is a high-speed serious injury or fatal collision. Some drivers fail to adjust for adverse environmental conditions. It is more difficult to operate a motor vehicle if the road is wet, the sky is dark, or conditions are otherwise less than ideal. Ignoring poor conditions and not altering driving behavior is clearly a lack of ordinary care. At the minimum, this duty requires drivers to look out for others on the road. Many people do not know that environmental negligence can also involve negligence per se. Speed is a good example. The posted speed limit is simply a presumption. Officers may still cite drivers if, in the officer’s opinion, the driver is operating too fast for the conditions at the time. Nearly all car crashes involve some form of negligence. For a free consultation with an experienced personal injury lawyer in Rockford, contact Fisk & Monteleone, Ltd. We do not charge upfront legal fees in negligence cases.